Anita Duhau loves her goats. She loves her two Brune des Alpes cows, "Nomade" and "Truite". On her 10 hectare, horseshoe shaped farm deep in the Basque countryside, she grows her wheat grains and straw to feed and bed her animals who provide her with milk and affection, just the right recipe for making a wonderful cheese. Anita started her organic farm in 2000 and it would be in her own words, impossible to do otherwise. The goats are from the old Pyrenean race. 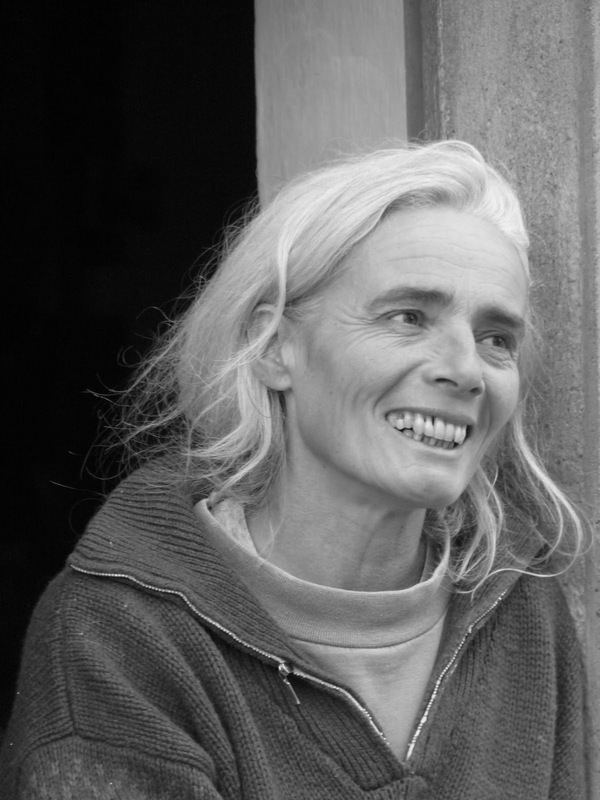 There are less than 2000 left in the Bearn or the Basque country and Anita cares for 45 of them. This beautiful goat has long black or brown hair, comes from high in the mountains of the Pyrennees or Cantabria and is reputed for its rich milk and good meat which of course doesn't concern us here. The local people used to take these animals to Paris or the beach resorts to milk the the animals in front of their clients. 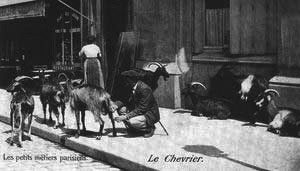 Apparently in 1900 there were 1500 of these goats hanging out in the streets of Paris but of course dissapeared soon after the introduction of the car and packaged milk. These sweet, playful and curious animals are milked twice a day by Anitas' loving hands. The milking of 45 goats takes 4 hours a day and the cows 1 hour so she has plenty of work when you think of how long it takes to make a good cheese. The goats milk is kept at 10° C for 24 hours before the curd is placed in pots to drain. 1 litre of milk makes 1 little cheese! The cows cheese is made in exactly the same way but needs to spend a longer period resting before becoming a good strong tomme. The young kids are fed by their mother before being cut and then fed Nomade's and Truite's milk which avoid the need for powdered milk. The two pigs are fed the cheese whey before becoming pate and sausage in the winter. In the courtyard, you meet her chickens, cats and the dog Dana who probably find their own reward in the form of a cheese crust or two. A wonderful medley of company and the result is a cheese so heavenly. I have to admit that I'm a very great lover of goats cheese which means I'm deprived of its calcium source for over 4 months of the year. Jean Francois is more of a cow man, which is probably linked to his auvergnat ancestors, and can eat a 4 kilo cheese in one week despite my nagging. This goats cheese tastes of cardamine de prés and hazelnut and new grass. Its rich but light and is at its very best after a week in storage. Its creamy and sublime and I can eat at least one at each sitting.... so I suppose I'm just as naughty as Jean Francois. milesker, badut negar-xortat begian. bihotzaz.